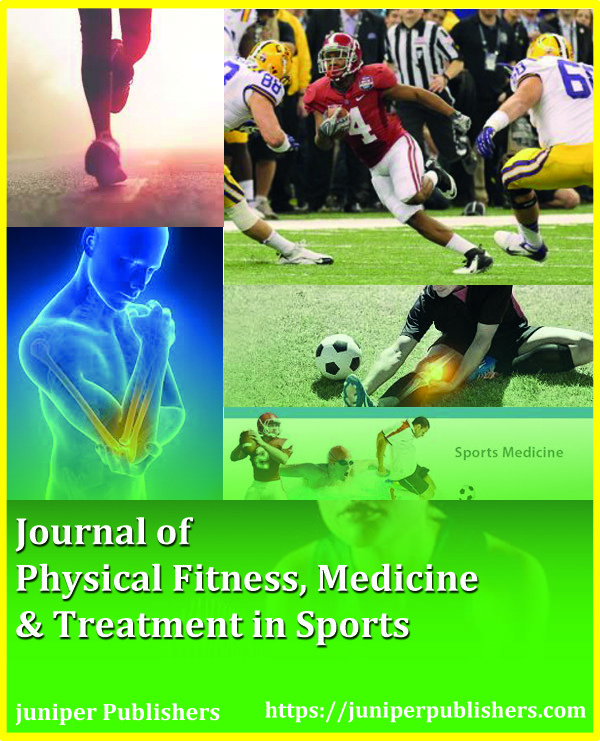 Journal of Physical Fitness, Medicine & Treatment in Sports is an interdisciplinary open access peer reviewed journal that publishes original research, reviews, short communication, case reports, news, commentaries etc., in the field of sports medicine, treatment and exercise medication. It basically aimed at the topics related to sports medicine, exercise physiology, physiotherapy, and other related topics like Kinesiology, Performance Improvement, Sport Epidemiology, Orthopedic trauma, Sports Psychology, Female Athlete, Sport Physiotherapy, Athlete Injuries and Injury Prevention, Nutritional Supplement, Orthopedics Surgery in Sports, Musculoskeletal oncology, Orthopedic oncology. JPFMTS also, acceptes peprs from researches related to enhancement and restoration of functional ability of sports person with physical injury and disabilities and treating musculoskeletal injuries, exercise-induced asthama, screening cardiac abnormalities, diabetes in sports, unexplained underperformance syndrome, female athlete triad, etc. Basic Knowledge of Physical Education Students About Olympism And Concepts Related to Excessive Training: What is the Legacy in Rio De Janeiro – 2016?